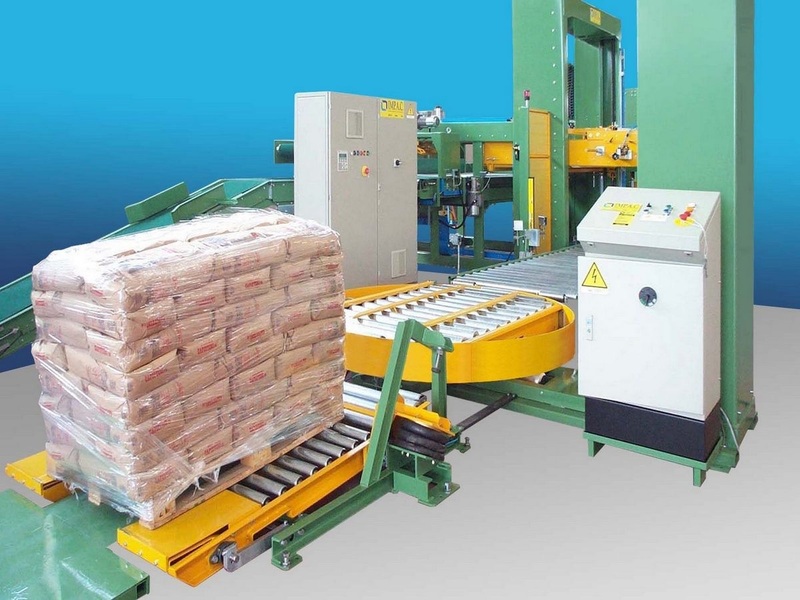 The stretch-wrapper PR/SA is built to satisfy low to medium throughput requirements (max 20 pallets/h). It’s provided with an electro-pneumatic film tensioning device. The film hooking to the pallet at the wrapping beginning and the film cut at the wrapping end are manual, while the wrapping cycle is completely automatic and managed by PLC. On request the machine can come equipped with pressing top platen for pallet stabilization during the wrapping.